In context: Elon Musk in announcing the new Model Y couldn't help but point out that Tesla's line-up now spells out "Semi S3XY." He apparently wanted to go with the Model E name instead of Model 3 but Ford (who also applied to trademark the Model E name) didn't like that idea. Elon Musk at a Tesla press event on Thursday evening announced the electric automaker’s latest vehicle. The Model Y crossover will be offered in four different flavors starting at $39,000. At that price point, you can expect 230 miles of range, a 0 to 60 mph time of 5.9 seconds and a top speed of 120 mph. For a bit more scratch – $47,000 – the Long Range model boosts drivability on a single charge to 300 miles, trims the 0 to 60 time to 5.5 seconds and ups the top speed to 130 mph. The Dual Motor AWD model, meanwhile, delivers 280 miles of range albeit at a quicker 0 to 60 time and a higher top speed – 4.8 seconds and 135 mph, respectively, at a starting price of $51,000. Last but not least is the Dual Motor Performance model which produces the same 280 miles of range but again improves on performance, cutting the 0 to 60 mph time to just 3.5 seconds and bumping the top speed to 150 mph. It starts at $60,000. This model also includes 20-inch wheels, performance brakes, a carbon fiber spoiler, Tesla’s “track mode,” lowered suspension and more. As Jalopnik correctly highlights, the Model Y shares a lot in common with the mainstream Model 3 sedan (about 75 percent of its components are the same) so if you liked the look and feel of that vehicle, you’ll probably feel right at home here. 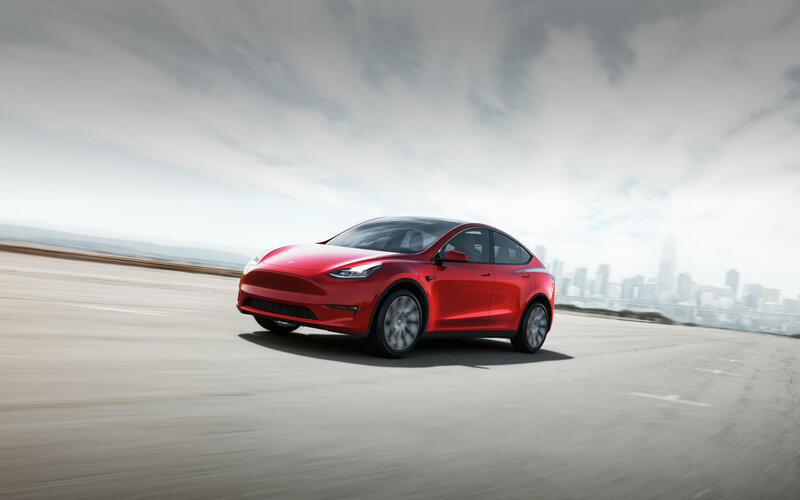 The Model Y is also expected to achieve five-star safety ratings and can be enhanced over time via over-the-air updates. The Model Y will be offered in your choice of black, silver, white, red or blue. Tesla said production will begin late next year with the standard edition expected to roll off the assembly line in early 2021.